Welcome back to the autumn art season in London. We hope you had a nice summer and that you have recovered well from this year’s summer art marathon of Documenta, Venice and Muenster. 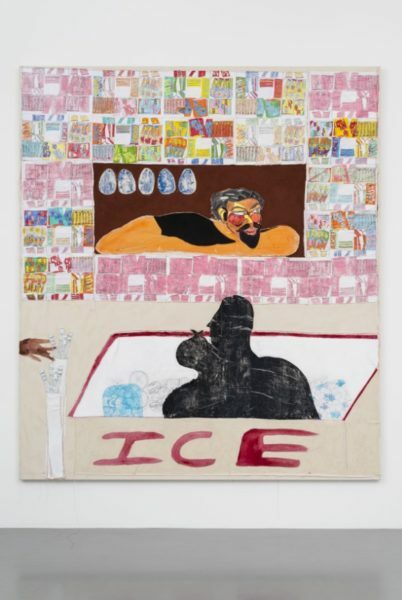 We will kick-start the new season with a Friday Dispatch on Tschabalala Self’s exhibition Bodega Run at Pilar Corrias Gallery. 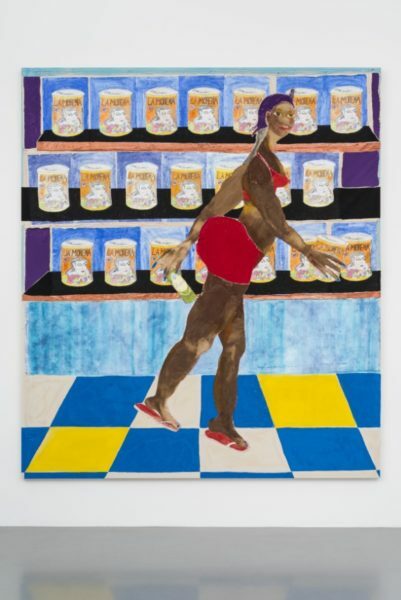 Primarily concerned with the ethno-cultural stereotypes surrounding the Black body within contemporary culture, Tschabalala Self is best known for her bold, vibrant, confident and dynamic large-scale paintings and works on paper of the Black female body. 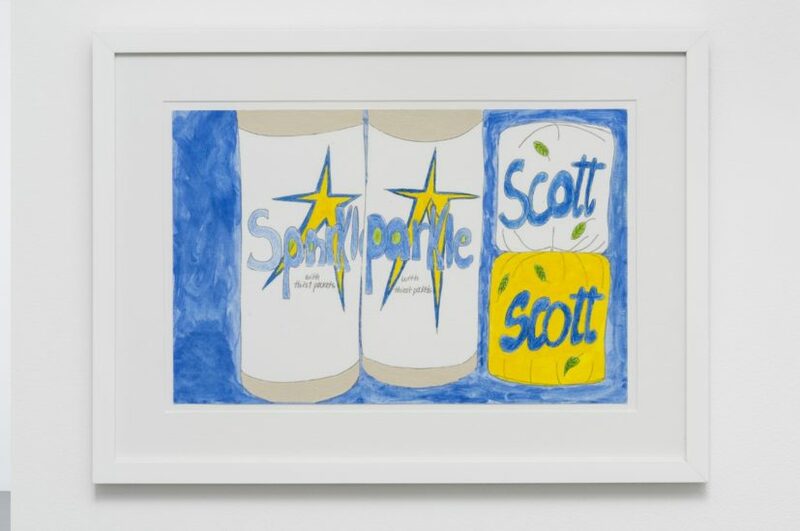 Her works were introduced to the London art world in a solo-show at Parasol Unit this January. 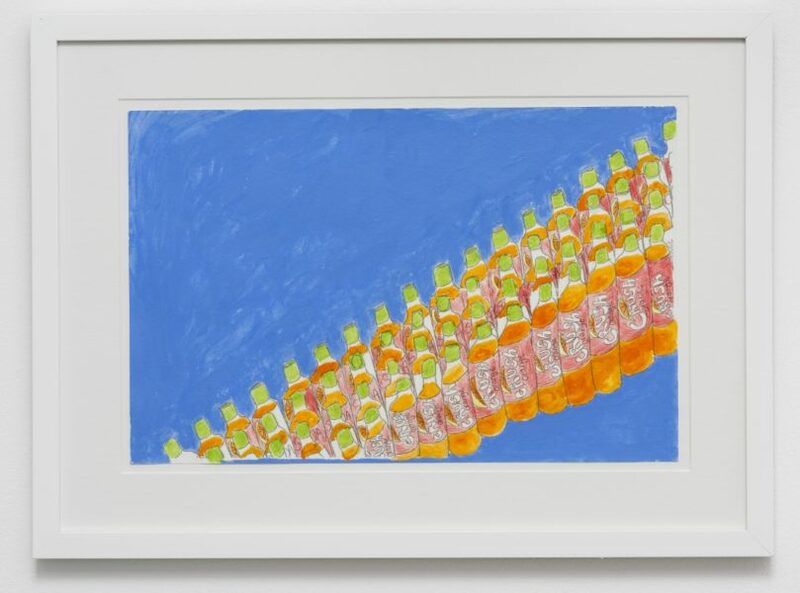 Bodega Run, Self’s first solo show at Pilar Corrias Gallery, is the artist’s first foray into installation. 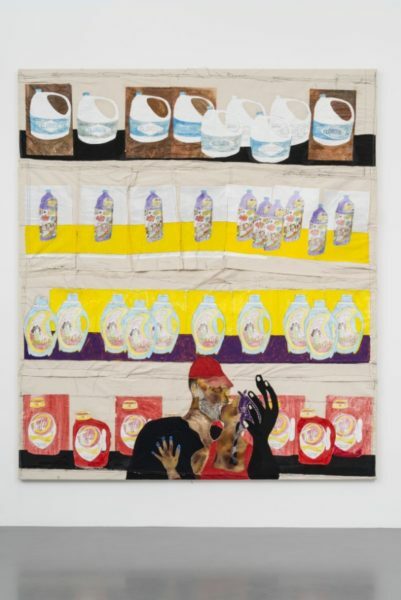 Tschabalala Self, who was born in 1990 in Harlem, has transformed the entire gallery space into a New York City bodega. Bodegas, which can be compared with our corner shops, are mainly found in Latino and Black neighbourhoods in New York. These family owned shops emerged with the arrival and settlement of Puerto Ricans and Dominicans in the US and have traditionally been owned and run by different communities of colour. Today, reflecting the demographic changes, they are predominantly owned by Yemeni, still serving primarily Black and Latino customers. Through their practise of Islam, the new owners form a unique relationship to the Black communities, who continue to participate in these businesses. As geographical markers of Manhattan’s diaspora, the corner shops are sites for marginalised communities to organise and create their own local exchange economies. 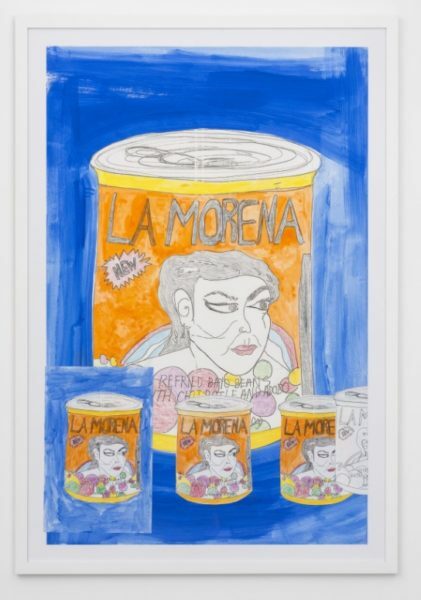 For Bodega Run Self investigates the social, political and economic implications of these bodegas. 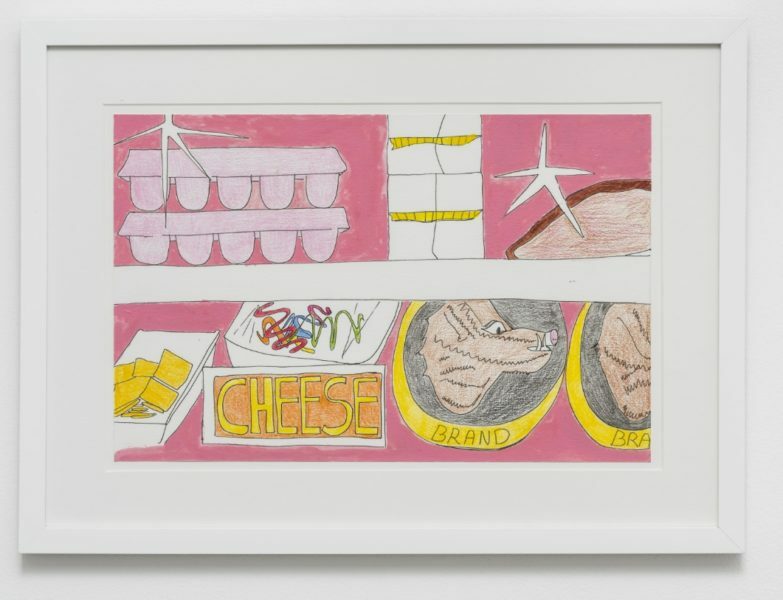 She has recreated the wide selection of common products, such as food and household goods, and the decor of the shops, with different artistic media, such as large scale painting, wallpaper, two-dimensional sculptures, animated film, photographs and neon ready-mades. The figure of a Black woman with red shorts and a red bikini-top appears in different paintings. Facing us with confidence, it seems that she is aware that we are observing her in her everyday life activities with our seemingly voyeuristic gaze. When looking at the mirror sculpture that is hanging from the ceiling, we can see ourselves together with the art works and other gallery visitors in the bodega-like interior. 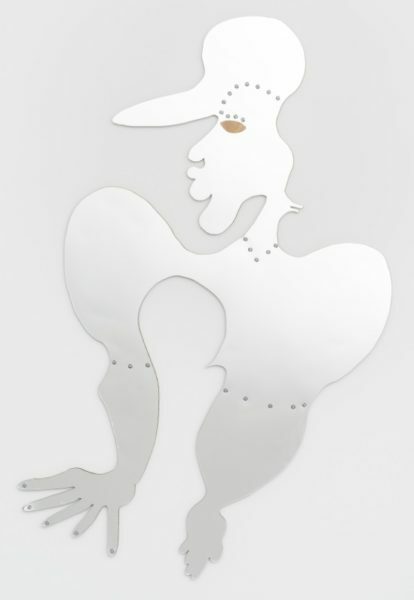 Self appears to engage the gallery visitor in reflecting upon how he or she relates to the space, the exhibition and its theme. 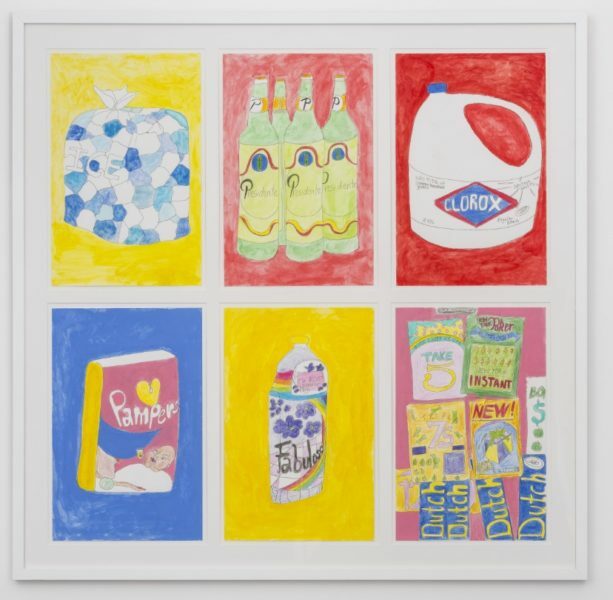 Overall, Tschabalala Self’s Bodega Run, inspired by central Harlem’s shops and the artist’s own upbringing, invites the viewer to immerse themselves in a lively and colourful ‘Gesamtkunstwerk’ (total work of art). At the same time, the theatrical installation cleverly pushes us to reflect on questions relating to race, gaze, sexuality and gender.